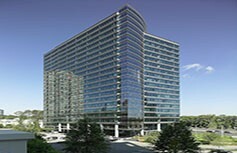 The firm's commercial real estate, litigation, Buckhead residential real estate closing practices and administrative offices are based in One Alliance Center at the intersection of Georgia-400 and Lenox Road (across from Phipps Plaza). Please see below the video for driving directions. Enjoy this short video guide to help you navigate your way to Weissman’s Buckhead office. At the corner of Piedmont Road and Lenox Road, turn east onto Lenox Road. Pass over Georgia 400 and get in the far right lane. At the first traffic light after you pass over 400, turn right into Alliance Center. (You will be able to see Phipps Tower and Belk at Phipps Plaza on the left). At the corner of Lenox and Peachtree, turn west towards Georgia 400 and Piedmont Road. Immediately look for the green sign (hanging across the road) that says Monarch Drive and Ritz Drive. Follow this sign. You will cross over the bridge at Phipps as opposed to under it. At the second traffic light, turn left into Alliance Center. (You will pass the Ritz Carlton Hotel on your left, and Phipps Plaza will be on your right. If you turned right at the bottom, you would find yourself on Phipps Boulevard which becomes the Wieuca Connector which runs into Peachtree further north). Turn right off Peachtree onto the Wieuca Connector. The white Baptist church will be on your right. Target, etc. will be on your left. Then take the left fork which is Phipps Boulevard. (You will then pass Phipps Plaza on your left). Cross over Lenox Road and you will drive directly into One Alliance Center. At the I-75/I-85 split, stay to the left to merge onto I-85 North. After the Buford Highway exit, stay in the right lane and take the 400 North Exit. Take the Lenox Road Exit #2 towards Buckhead. Turn Right at the exit onto Lenox Road. One Alliance Center will be the first building on your right as soon as you exit off of 400. Go south on I-75. Get into the second left lane (not the far left HOV lane which continues south on I-75), and go north on I-85. After the Buford Highway exit, stay in the right lane and take the 400 North Exit. Take the Lenox Road Exit #2 towards Buckhead. Turn right at the exit onto Lenox Road. One Alliance Center will be the first building on your right as soon as you exit off of 400. Take I-75 South to I-285 East – Exit #259A. Take I-285 to GA-400 South – Exit #27 towards Buckhead/ Atlanta. Take the Lenox Road Exit #2 toward Buckhead. Stay in one of the two left turn lanes and turn left onto Lenox Road. Cross over GA-400. One Alliance Center will be the first building on your right. Take I-85 North to Exit #88 – Cheshire Bridge Road/Lenox Road/GA-400 North. Turn right onto Lenox Road. Turn left onto Buford Highway. Turn right onto Sidney Marcus Boulevard. Turn right onto 400 North. Take 400 North to the Lenox Road Exit #2 towards Buckhead. Turn right onto Lenox Road. One Alliance Center will be the first building on your right as soon as you exit off of 400. GA-13S toward Peachtree Street. Keep right at the fork and merge onto 400N. Take Exit 2 toward GA-141E and stay in right hand lane to merge onto Lenox Road. Keep right at the fork and merge onto at the fork and merge onto GA-400 NGA-400 N Keep right at the fork and merge onto at the fork and merge onto GA-400 NGA-400 N One Alliance Center will be the first building on your right as soon as you exit off of 400. Take I-285 East to the GA-400 South – Exit #27 towards Buckhead/Atlanta. Take the Lenox Road Exit #2 toward Buckhead. Stay in one of the two left turn lanes and turn left onto Lenox Road. Cross over GA-400 and One Alliance Center will be the first building on your right. Traveling I-285 West from Ashford Dunwoody, Spaghetti Junction, Peachtree Industrial BLvd. : Take I-285 West to the GA-400 South – Exit #27 towards Buckhead/Atlanta. Take the Lenox Road Exit #2 toward Buckhead. Stay in one of the two left turn lanes and turn left onto Lenox Road. Cross over GA-400 and the One Alliance Center will be the first building on your right. Once you turn into One Alliance Center, you will see our 20 story glass building (One Alliance Center) on the right, and two parking garages on the left. Complimentary valet parking for Weissman visitors is available after 10:00 am in front of One Alliance Center. If you prefer to self‐park, you will see two parking garages on your left. Use the second parking garage on the left which has shiny blue glass matching our building. Once you turn into the deck, turn left into the first parking entrance lane in order to access Visitor Parking. You will be on Level P‐5. If it is not raining, you can walk right across the driveway area to get to our building. If it is raining, take the elevator from Visitor Parking down to Level P‐4, turn right coming out of the elevator, and go straight towards the back doors. Enter the door that says "One AllianceCenter Elevators." Take this elevator up to the lobby. Once in the lobby, exit the parking elevator and take the main elevator up to the 4th floor. Remember to bring your parking voucher upstairs so we can validate it. Welcome to Weissman's Buckhead office. Click below to enjoy an interactive virtual tour of our office located in the heart of Buckhead. lists all of the ongoing educational opportunities available to clients and friends of the firm. Visit Weissman Academy for more detail and to sign up now!